My first visit to Mull was a short one, and back in 2010, formed just a small part of a fortnight's tour of Scotland. After visiting the Highlands, Skye and the Uists, Mull was the last part before heading home. With just 4 days to explore, we tried to cram in as much as possible. Back then, the Mull Charters eagle boat trips were more hit and miss, and my first sailing drew a blank. My friend Ian, who had been to the isle several times, had promised eagles galore, but we struggled to see any. Otters however, put on a better show. 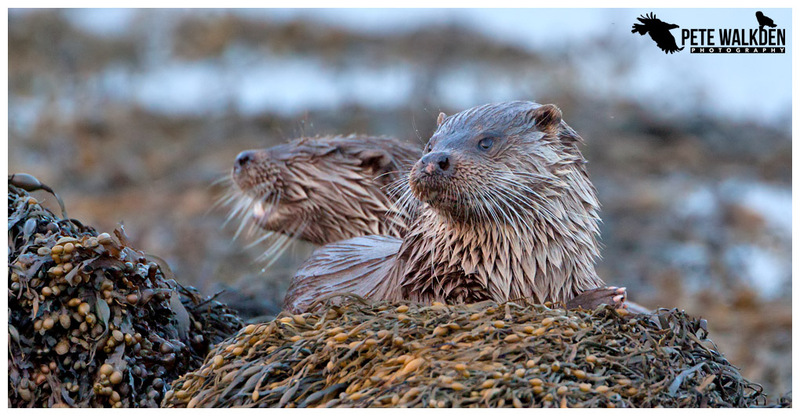 Using CB radios, we were keeping a watch of one loch when I heard the words "Otters" shouted out. Scanning down the loch I watched a pair heading along towards me. Without thinking properly, I grabbed a dark coloured hat and scuttled down to the shore, lying on some rocks close to the water. The otters continued to get closer. Unfortunately had I thought about things more, I would have grabbed my balaclava, as the shore was clouded with midges, and they really tucked in to my face and hands. Having to lie dead still so the now very close otters couldn't see me, I felt the midges biting my face and hands, like tiny needles in my flesh. Thankfully I was getting great images of the pair of otters as they fed, which just about made up for the pain. When the otters swam off, I returned to the car, and by the next day, I had to buy a peaked cap to pull down over my swollen face. I counted over 70 bites running across my forehead, down one cheek and on to my neck. This is why I always carry midge repellent when I'm photographing otters these days. Never again do I want to be in that sort of pain! The image was taken with a Canon 50D, 500mm f4 and 1.4TC. At ISO 1000, which for the 50D was quite a stretch, and introduced a fair amount of coloured noise.